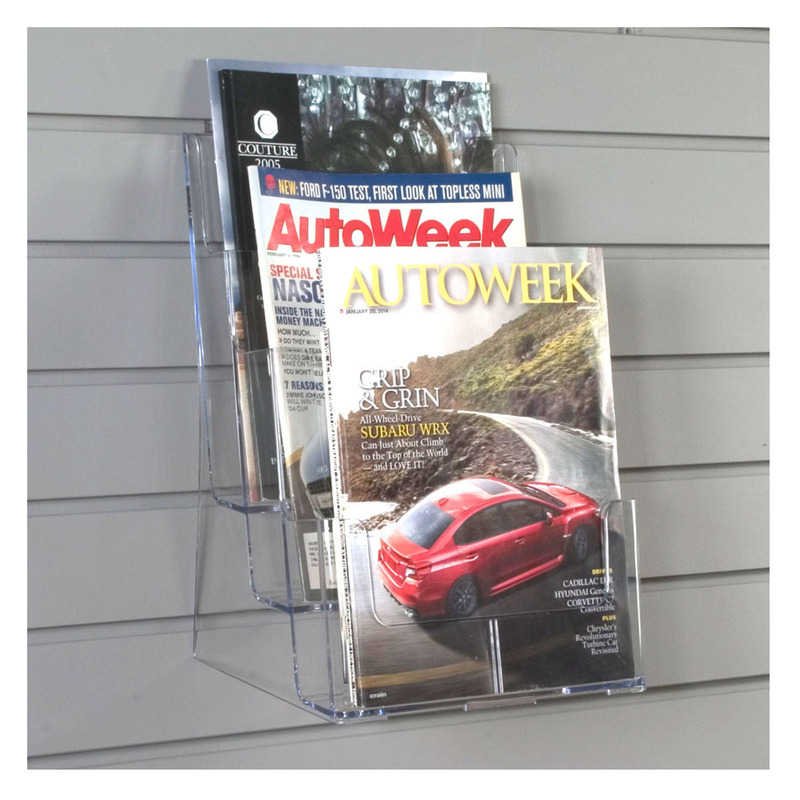 Our magazine holders, stands and floor displays are perfect for displaying your print materials for sale in newstands, book stores, convenience stores, hotels, airports, train & bus stations or any retail location. Organize and beautify your space with these high-quality, elegantly designed displays. Wall or rack-mounted displays save space and nestle your periodicals into tight spaces. Use countertop stands to place periodicals in the check out line for impulse purchses, or large floor spinners to organize large quantities of print materials. Made in the US from polished acrylic or green Baltic Birch Plywood, most are in stock for immediate shipping.